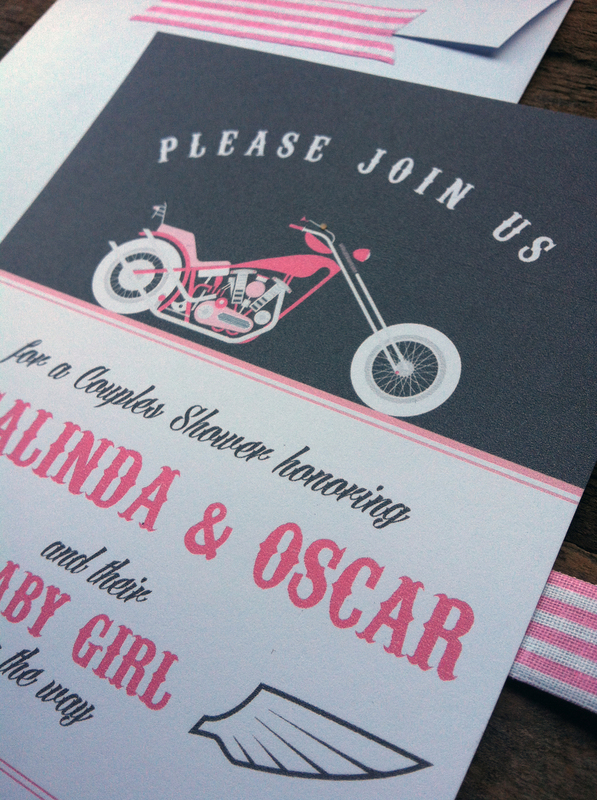 "Biker Chic" -- now there's a fresh new theme for a baby shower! 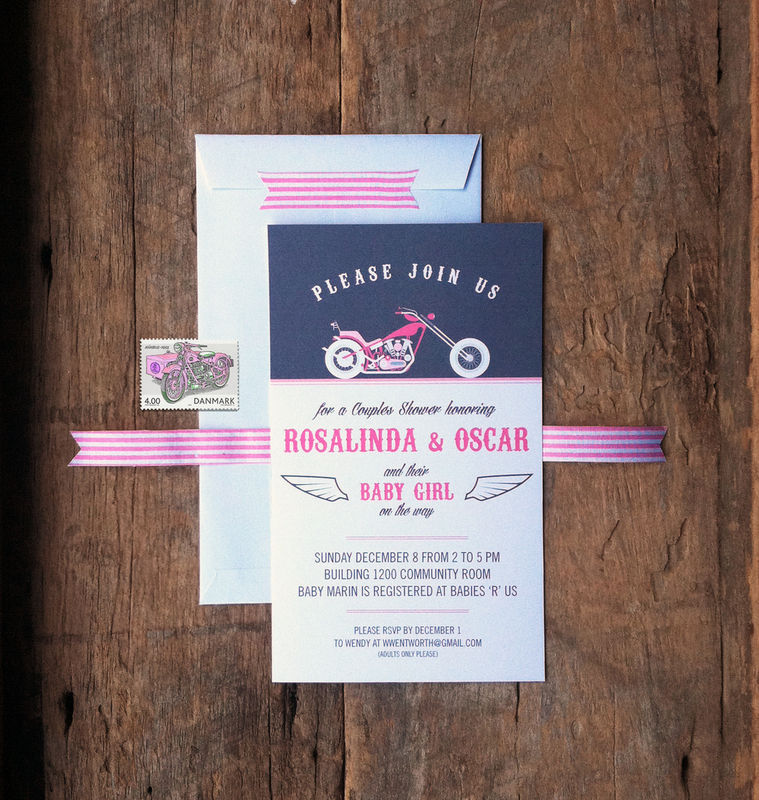 When a friend asked me to design invitations for the motorcycle themed couples shower she's hosting, I wasn't exactly sure if I could pull off the girly look she wanted. But I think the color scheme and cute graphics came together to give off a feminine, sweet vibe, while still being cool enough for the male guests. The invitations are now available in my Shop and in my Etsy store, and the design can easily be edited for a birthday party or other occasion!